The New York and Los Angeles film critics have already picked their best movies of the year, and now their Broadcast Film Critics Association and Broadcast Television Journalists Association are preparing to follow suit by announcing the nominees for the Critics’ Choice Awards, with winners of which will be announced early next year. 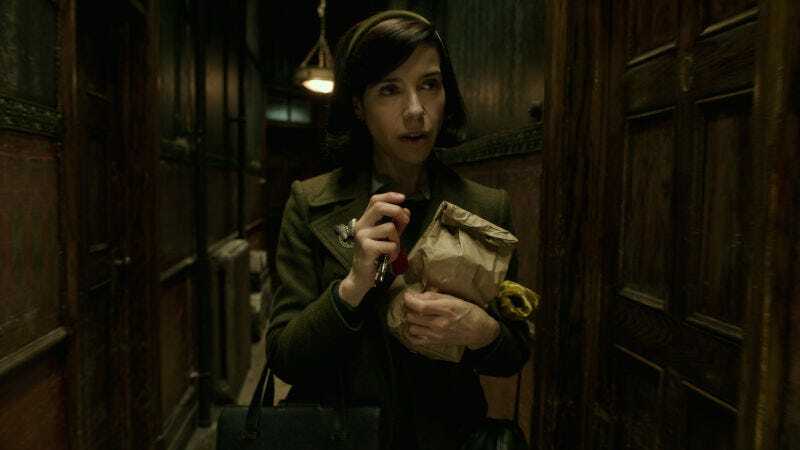 On the film side, Guillermo Del Toro’s The Shape Of Water is the big frontrunner, landing 14 nominations across Best Picture, Best Actress, Best Director, both Supporting Actor and Supporting Actress, and pretty much every other relevant category. Ryan Murphy’s Feud has a bunch of nominations across the TV categories, but its competing against itself in a few of them—specifically the TV acting categories—so it might not walk away as a big winner. Aside from The Shape Of Water, the other Best Picture nominees are The Big Sick, Call Me By Your Name, Darkest Hour, Dunkirk, The Florida Project, Get Out, Lady Bird, The Post, and Three Billboards Outside Ebbing, Missouri. You can see the rest of the nominees below, and the winners will be announced on January 11.